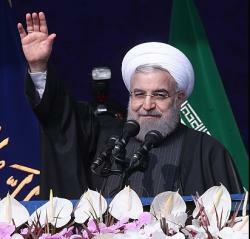 Anti-U.S. sentiment in Tehran, however, was reportedly more subdued than in previous years. The burning of U.S. and Israeli flags and shouts of “Down with the U.S.A,” were not as prevalent. No missiles were put on display either, so the overall tone of the march, though still anti-Western, was not as aggressive. 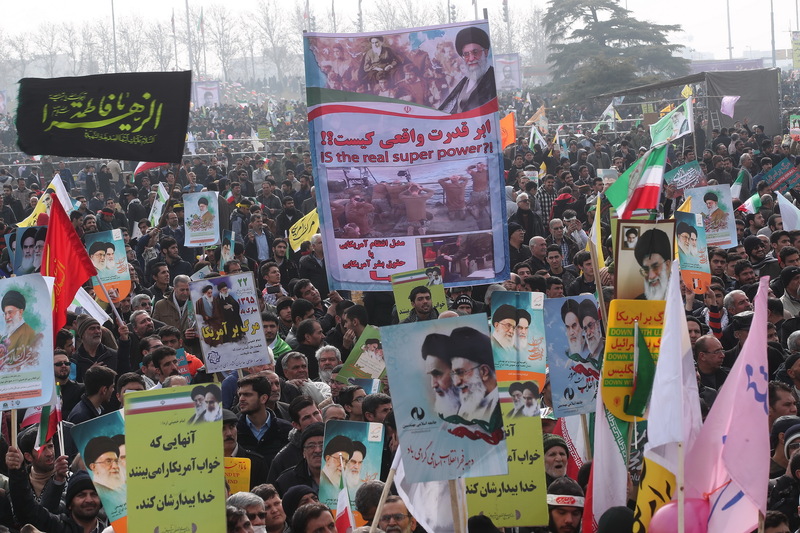 Many demonstrators echoed recent remarks by the supreme leader, condemning President Donald Trump’s recent Executive Order that aimed to ban citizens of seven Muslim-majority countries — Iran, Syria, Somalia, Sudan, Libya, and Yemen — from entering the United States for 90 days. But in the run up to the march, Iranians on social media called on their fellow citizens using the hashtag #LoveBeyondFlags to not burn U.S. flags, but instead to thank American protesters for opposing the ban. The poster in the center reads "Who is the real super power?" and "May God awaken those who dream of America." 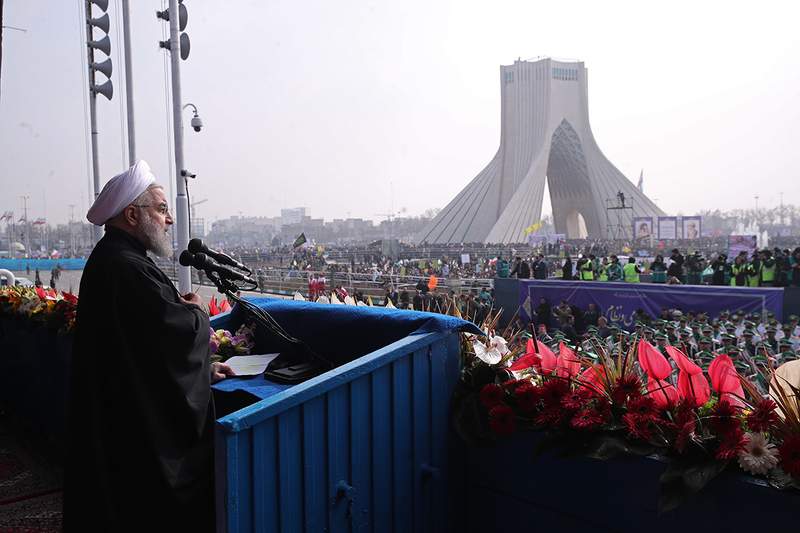 "Thanks to #American-s supporting Muslims"
President Hassan Rouhani: "Those who threaten our government and armed forces should know that the Iranian nation is integrated and vigilant and will stand against the enemies forever. We are not seeking tension in the region and the world but will stand against those who want to take advantage of our country." The head of the Revolutionary Guards' elite Qods Force, Qassem Soleimani, attended the march as well.